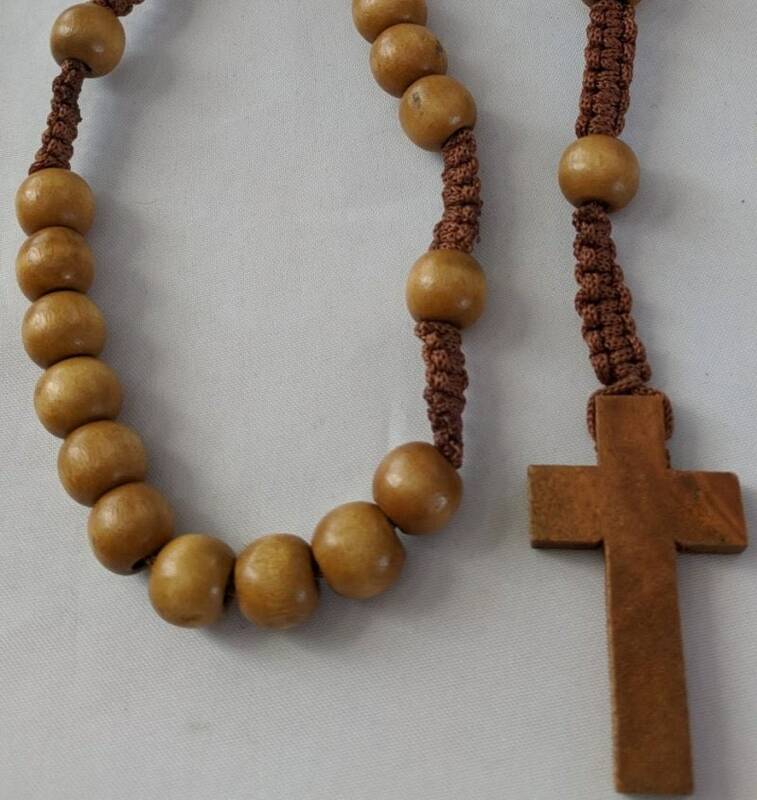 This rosary has 5 decades of 10mm wooden beads with macrame brown cord between each 10mm paternoster. 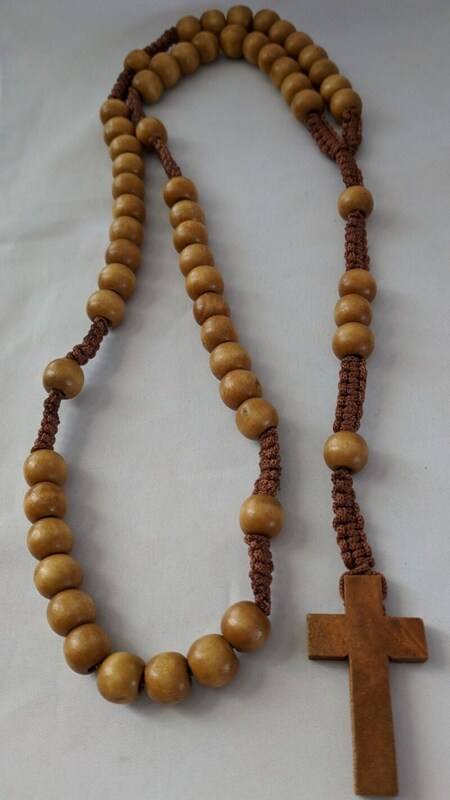 It is made in the traditional bead arrangement with the "pathway" of 5 extra beads (2 paternosters and 3 aves) before the wooden cross. 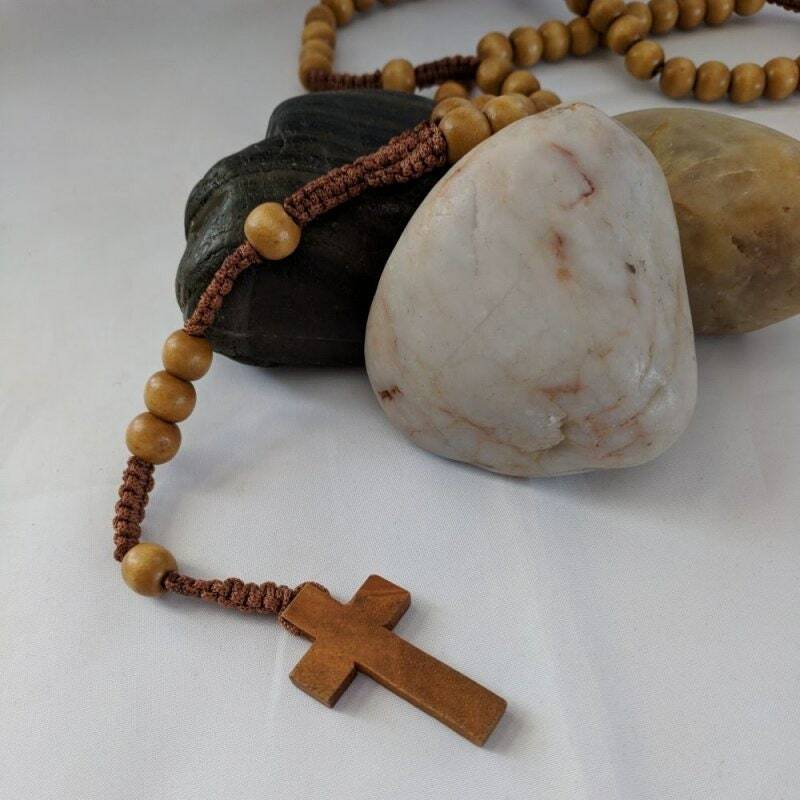 Made of olive wood from Bethlehem. Divided in half, it hangs approximately 19" in length. NON-REFUNDABLE ITEMS - Custom Orders, Sale Items, Worn Clothing, Hand-Strung Rosaries, Feathers, Fans, Mink Flea-furs or other fragile items. NOTE - All sales are FINAL on Items bought for photo shoots, weddings, performances or any other one-time project.